Sign up for Broadjam today to follow Battle Cry, and be notified when they upload new stuff or update their news! Trevor Lane, Hans Masanetz , and Ryan Willis formed the Power Metal band Sacred Legacy in Colorado Springs during July 2003. Later, Randy Kurtz would join on bass. The last deadly blows to Sacred Legacy would be when Randy departed in February 2004, followed by Ryan in June 2004. Hans and Trevor re-grouped to try to resurrect their ideal band in August 2004. They found Thrash Metal vocalist Paul Wilson in September 2004. Then in March 2005, Kurt Wheeler joined the band on drums and Bob Székely joined in May on bass. Finally a heartbeat was back with the band, along with the new and permanent name "Battle Cry". Unfortunately, due to musical, personal, and commitment differences Kurt, Bob, and Paul left the band in 2005. 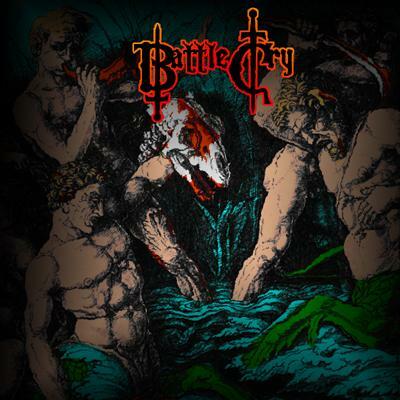 Hans and Trevor are currently recording the debut Battle Cry CD while they continue the search for permanent band members.